Hippocrates may have spoken these wise words over 2000 years ago, but they are still true today. 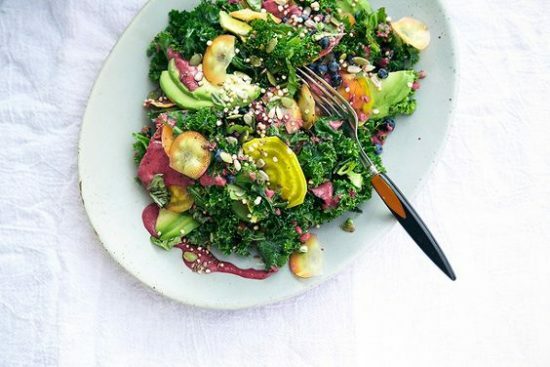 Eating healthily can boost your immunity, energy levels and overall wellbeing. And when you’re sick, a balanced diet provides the building blocks your body needs to recover, fight off nasty bugs or battle more serious diseases. The only trouble is: when you’re feeling miserable, slaving away in the kitchen to cook a MasterChef-worthy meal is probably the last thing on your mind. So how can you get the health-boosting perks without the pain? Say hello to low-effort, nutritious staple meals. There’s no such thing as a miracle diet for every illness, but nutrient-rich meals that are easy to prep when you’re sick, tired and in pain can be lifesavers in many ways. Have a look at these 25 recovery-boosting recipes to start rebuilding your health today. A bowl of oatmeal for breakfast is a heart-healthy way to start your day. Studies show that consuming soluble oat fibers significantly lowers your cholesterol levels and stabilizes your blood sugar. What’s more, a special kind of antioxidant found in oats reduces your risk of cardiovascular disease. What makes oats an ideal recovery-boosting, energy-saving meal, is that you can make them the night before. Just mix them with milk of your choice, add a table spoon of chia seeds and store them in the fridge. Et voila, overnight oats! Because they’re so rich in fibers, oats release their energy gradually, keeping you full and fueled until lunchtime. 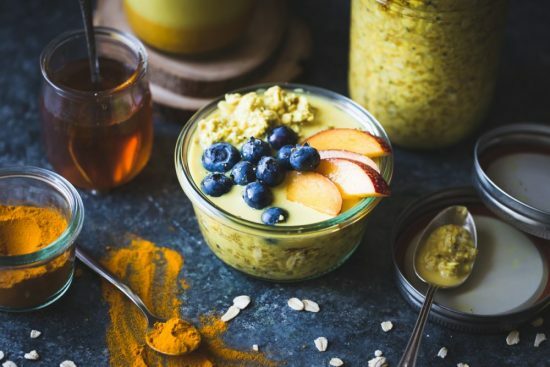 Boost your anti-inflammatory powers with the Golden Milk Overnight Oats from The Bojon Gourmet. And if you want to change things up with a hot bowl of whole grains, you could also try one of these 12 warming breakfasts for cold winter mornings. Smoothie bowls are the perfect vehicle to get your daily dose of greens or superfoods in. 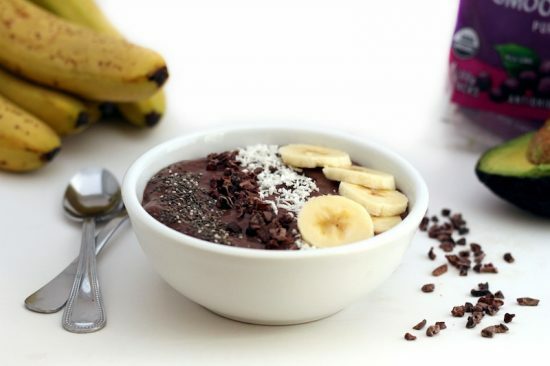 But you don’t need any fancy ingredients to create a recovery-boosting smoothie bowl: a mixture of fresh fruit, veg, healthy fats and protein of your liking will do. ‘Cause that’s the great thing about smoothie bowls: they’re versatile and easily adaptable to match your needs, the season and whatever you’ve got in your cupboards. Plus, all you have to do is throw your smoothie ingredients in a blender, pour into a bowl and sprinkle with your favourite toppings. Easy, right? It doesn’t take a genius to understand why avocado toast makes a great recovery recipe. You only need two ingredients (well, in theory) to quickly create a healthy dish you can eat any time of day. The creamy texture on that crunchy toast, what’s not to love? Avocados are abundant in healthy fats, vitamin E, potassium and powerful antioxidants. These nutrients are known to be heart-friendly, protect your skin and boost your eye health. The benefits from this simple meal become even greater when you top your avocado toast with a boiled egg (rich in eye-healthy lutein) or extra veggies. 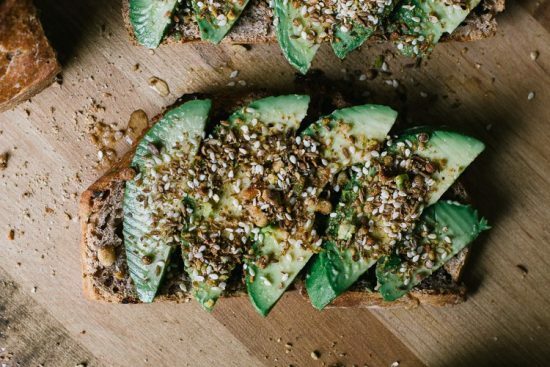 You could try this Superfood Avocado Toast with Kale Tapenade from HelloGlow for an extra nutrient kick. Take your regular cup of tea to the next level by adding warming spices with health benefits. 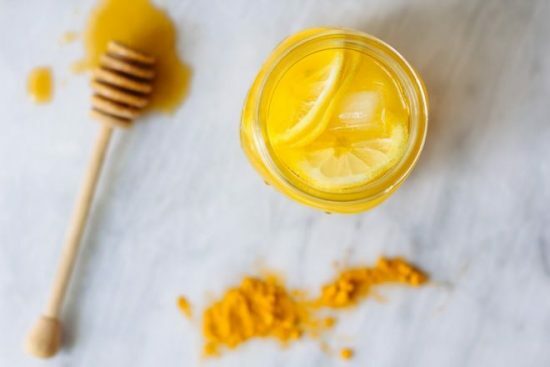 Turmeric and its active ingredient curcumin help reduce inflammation in your body, aid digestion and boost your immunity. More of a coffee lover? Try this Turmeric Vanilla Spice Superfood Latte. For more cozy, comforting beverages to warm you up and improve your health, check out these 8 hot and healing drinks. 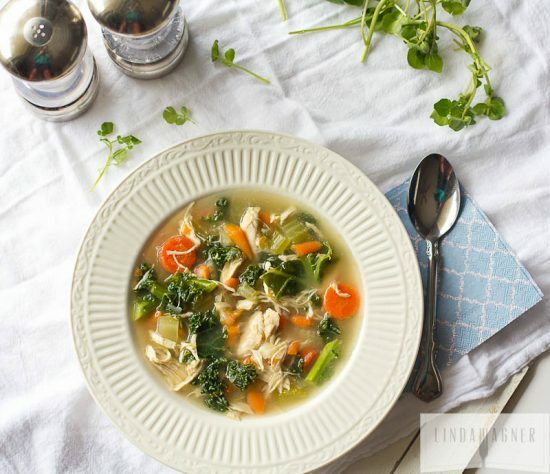 Chicken soup is a classic flu-remedy for a reason. The combination of bone broth and vegetables makes it a great source of easily digestible nutrients when you can’t stomach eating anything else. Bone broth has been celebrated in recent years for its health-boosting properties. It’s rich in amino acids, which are the essental building blocks for a healthy gut, a strong immune system and muscle repair. What’s more, the collagen from the bones repairs our own connective tissues, giving you a glowing skin and lubricated joints. You can get even more out of your healing bowl of soup by adding potent ingredients such as ginger, garlic and onions, medicinal mushrooms and dark leafy greens. Prefer a vegetarian soup? 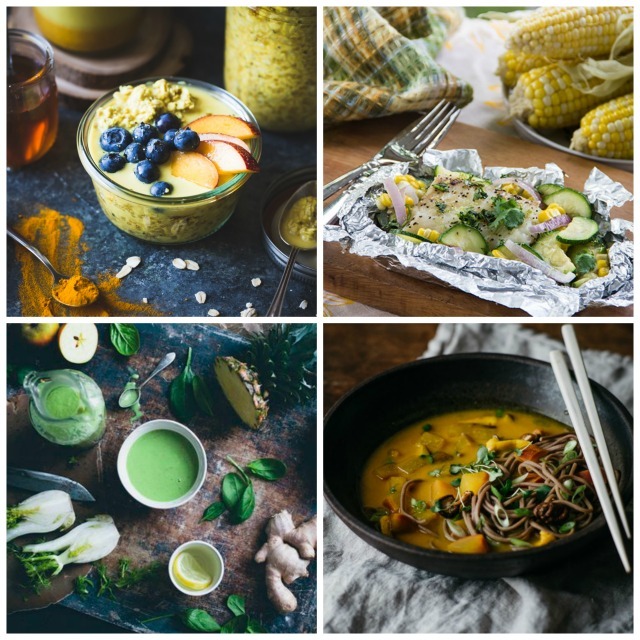 Then the Turmeric-Miso Soup with Shiitake, Turnips and Soba Noodles from Dolly and Oatmeal or the Easy Vegetarian Pho from Love & Lemons are just for you! You can find everything you need to know and more about how to make bone broth and why it’s good for you on The Nourished Kitchen. Too tired to cook a nourishing dinner? Let the oven do the work for you. Foil packet recipes were made for sick days. They require little prep, no standing over the stove and virtually no clean-up. 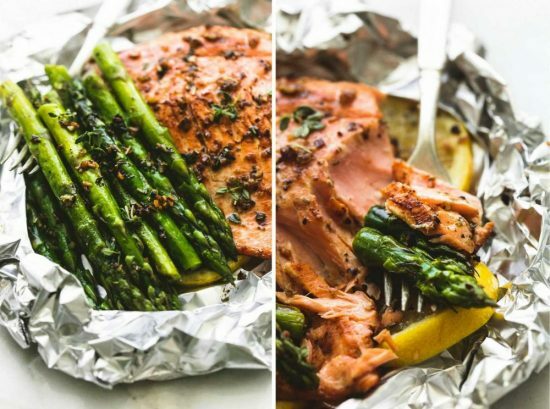 You can wrap all kinds of healthy ingredients in aluminum foil, but fish lends itself extremely well to be steamed in the oven, locking in moisture and flavor. Fatty fish such as salmon, mackerel, sardines, anchovies and herring are packed with omega 3’s. These healthy fats boost your brain power, curbs joint pain and fights inflammation. Combined with vibrant veggies such as broccoli, zucchini and tomatoes, fatty fish foil packets make an easy – and tasty – recovery-boosting dinner. For more smart cooking hacks when you’re too tired to cook, have a look at these 10 nutritious one-tray meals. Regular potatoes have gotten a bad rep in the low carb trend, but in their natural form – boiled, mashed or roasted instead of fried – they’re also a good source of vitamin B6, vitamin C and potassium. Thanks to their carotene content, sweet potatoes with their beautiful orange colour are also rich in antioxidants and provitamin A. Jacket potatoes make a comforting side dish to your salad or foil packets with fish. They’re super easy to bake and ideal for dining solo on a sick day. 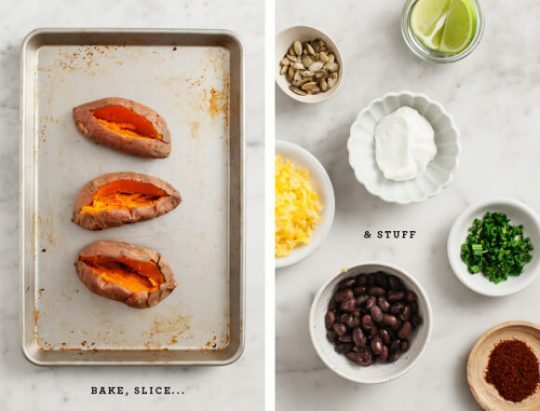 For an all-in-one meal, you can also stuff a regular of sweet potatoes with nutrient-rich toppings. Little time? Try the Sweet Potato Toast (5 ways) from Nutrition Stripped for a quick but nourishing meal. This one needs little explanation: greens are good for you. Dark leafy greens like spinach, kale, arugula and water cress top the ranking of nutrient-dense foods. These powerhouse plants are packed with vitamins, minerals and disease-fighting phytonutrients. Especially chlorophyll, the green pigment that absorbs energy from sunlight, has been touted for its healing benefits. For more inspiration, check these 10 surprising salads for sunny days or come up with your own combo by playing Salad Bingo! If you’d like to learn more about eating your way to a better health, browse The Medicinal Chef cookbook with food suggestions for common medical conditions. Which recipe will you be cooking to support your recovery from illness?